This Easter Sunday a perfect family getaway awaits at The Farm at Carpenter Hill in Koronadal City. Bring the whole family at The Farm at Carpenter Hill, one of the leading resorts in the city and make this Easter weekend an unforgettably fun occasion. A wide array of delectable food for lunch awaits everyone plus lots of exciting activities for kids! The Easter Egg Hunt is a not to be missed activity for kids. 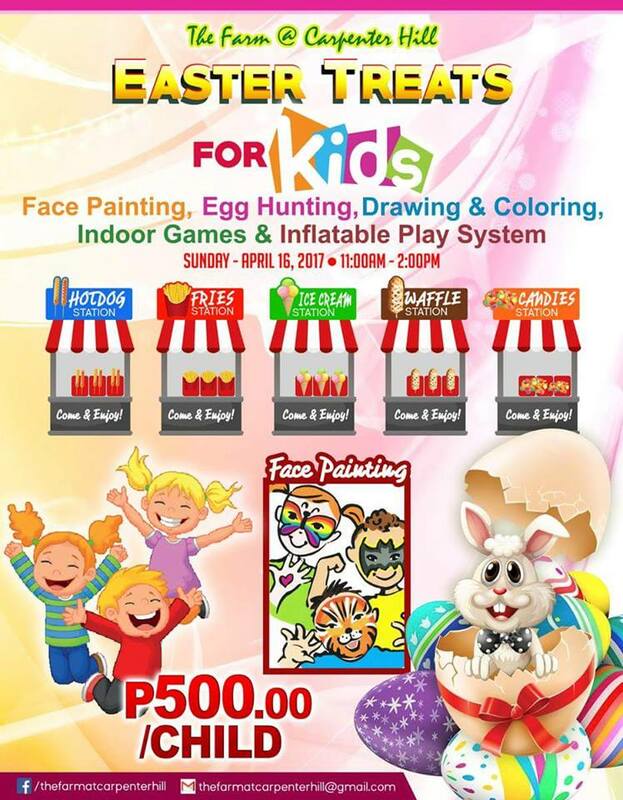 Children will surely have fun, enjoy exciting surprises and bring home incredible prizes. Call now and buy your tickets! Buy 10 adult tickets and get 1 for FREE!